Julie M. Fiedler, Attorney at Law, is a resident of San Ramon since 1988, a Registered Nurse with over 30 years of experience in healthcare & senior services. 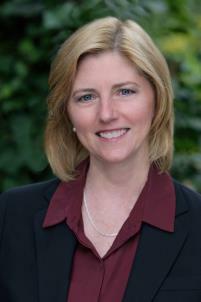 Julie is a Certified Elder Law Attorney (CELA), certified by the National Elder Law Foundation. Julie is accredited by the Department of Veterans Affairs to help individuals in all matters involving VA benefits. She served two terms on the Board of Directors for the National Academy of Elder Law Attorneys, Inc., and is the past President for the Northern California Chapter of the National Academy of Elder Law Attorneys, she is an active member of California Advocates for Nursing Home Reform (www.canhr.org) and ElderCounsel (www.eldercounsel.com). Ms. Fiedler is also served one term as President of the Adult Day Services Network of Contra Costa. Estate Planning and Elder Law: Wills, Trusts, Durable Powers of Attorney, Advance Health Care Directives, Life Care Planning, Long Term Care Planning, Conservatorships, Medi-Cal and VA Aid & Attendance Planning.